United Way has made a commitment to its donors to ensure funds raised during our annual campaign are effectively and efficiently invested to address critical health and human service needs within Lee County, focusing on the following 4 impact areas: Helping Children and Youth Succeed, Fostering Health and Independence, Helping in times of Critical Need or Crisis, Strengthening Families and Community. We invest in a system of quality agencies that provide programs and services that help people in need. The United Way believes that quality programs and services can only be accomplished consistently and over the long run if an agency has the appropriate governance, financial, and administrative structure in place. In keeping with our desire for stewardship and transparency in our allocation procedures, we utilize a community review process that allows volunteers the opportunity to assess the agencies for themselves. 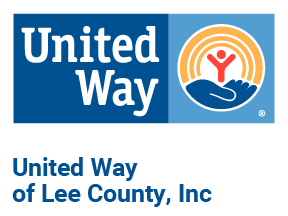 The United Way of Lee County, Inc.'s process of citizen review for allocations requires a voluntary sharing of authority in which all parties concerned recognize that meeting basic human needs should be the overriding consideration in fund decisions. Funds will be allocated wisely, fairly, and effectively. The allocation of funds directly affects the community's attitudes about the United Way, the donor's confidence in the United Way, and the service agencies' relationships with United Way. The Fund Distribution process consists of qualified agency submission of required application documentation, on-site review by an Allocations Panel, and presentation to the full Fund Distribution Committee. The Allocations Panel Commitee meets with the agencies to further define their need for funds and to evaluate the overall health and functionality of the agency. The Fund Distribution Committee reviews the funding requests of applying agencies and makes recommendations to the Board of Directors for distribution of United Way funds to member agencies for the year. The focus of this committee is to assure the most effective use of United Way funds to meet the community's human service needs.